Maija Zlatic, a Serbian-Australian widow who inherited over $5 million but deliberately lived in apparent poverty as a hermit in a mud hut in Serbia, died without a trace of the money she inherited from her late husband. She had supposedly given away the first million dollars awarded to her by an Australian court, but the rest of the money’s whereabouts is unknown. Her fellow-villagers are curious, suspecting that caregivers may have stolen everything. 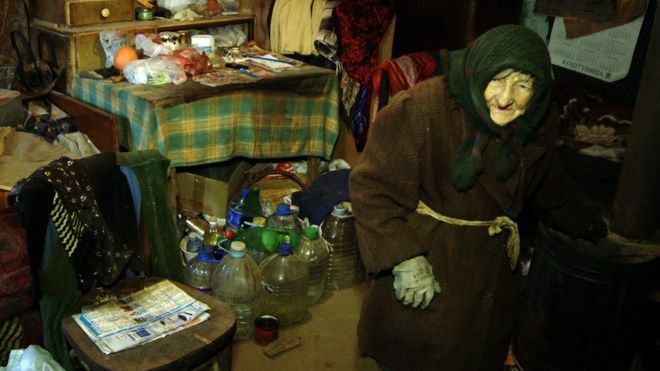 Belgrade (AFP) – An elderly hermit living in a mud hut in the Serbian mountains inherited a fortune from her estranged husband in Australia — but swiftly gave it all away to live off her meagre pension, local media reported. Marija Zlatic, 86, who lives two hours from the nearest village in eastern Serbia, recently received 940,000 Australian dollars ($660,000, 611,000 euros) bequeathed by her husband who died there in 2011, the Vecernje Novosti newspaper said this week. But Zlatic has given all of her newfound wealth to people from the village who look after her, bringing food, water and wood. “Where I am going soon I do not need money, so I gave it away. They need it more. I am fine with my 8,000 dinar ($70) monthly pension,” Zlatic told the daily. Zlatic and her husband Momcilo left for Australia in 1956 where he worked as a carpenter, but she came back less than two years later to take care of her sick mother and never returned. She kept in occasional contact with Momcilo who was thought to have acquired several cattle farms, one of Zlatic’s carers told the newspaper. The carer, who did not wish to be named, said she spent years helping Zlatic track down details of her inheritance, adding that the old lady had even refused to move into a more comfortable house. A Serbian woman living as a hermit inherited almost a million Australian dollars ($703,000, £490,000) from her husband – only to give it all away. “I don’t need my money,” she told the B92 website (in Serbian). “It’s enough for me to have bread, water and wood so I can keep warm in winter. He worked as a carpenter in a factory, and she as a housewife, but Marija returned to Serbia after 18 months to care for her ailing mother. Marija never returned to Australia after her mother’s death, but kept in contact by letter with Momcilo, who she said was keen to return to Serbia once he retired. Word reached Serbia that Momcilo went on to own cattle ranches – something Marija did not believe. In 2011, Marija heard rumours he had died. She asked her neighbour, named only as M, to search for more information. M told the Vecernje Novosti newspaper (in Serbian) that she hit dead-ends with the Australian embassy in Belgrade and the Serbian embassy in Australia. But she was able to confirm Momcilo’s death through lawyers in Australia, and, after a four-year search, received confirmation of his wealth last year. Marija said his ranches were worth close to A$3m ($2.1m, £1.5m) but the inheritance was reduced to A$940,000 once taxes were deducted. M said that Marija promised her 30% of the inheritance for her work. But M told Serbian media other members of the community had not given her what she had been promised. Marija’s neighbours continue to visit her home and chop wood for her to burn, she said. Her dogs remained her best friends, she added.